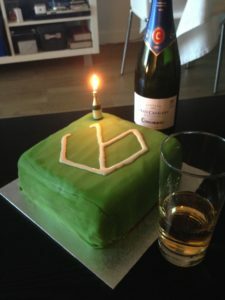 Ubiquis Consulting turned 1 year old last Saturday. It’s been a great year, full of the normal ups and downs of starting a business, but overall a very positive experience. And we got to bake a cake to celebrate the anniversary, which is always a plus. For our second year, we plan to keep this blog a bit busier, so stay tuned. So, what else?… Oh, yes, please join me in welcoming Miguel Cunhal to the Ubiquis Consulting family. Miguel is a very bright young consultant and he is looking forward to learn all things BI and Pentaho. We’re sure he’s a very valuable adition to our team.